Los Angeles, CA—JK Imaging Ltd., the worldwide licensee for Kodak PixPro digital cameras and devices, announced its 2017 line. The lineup features expanded offerings within the 360° VR interactive camera category. These are headlined by the Kodak PixPro Orbit360 4K VR camera. 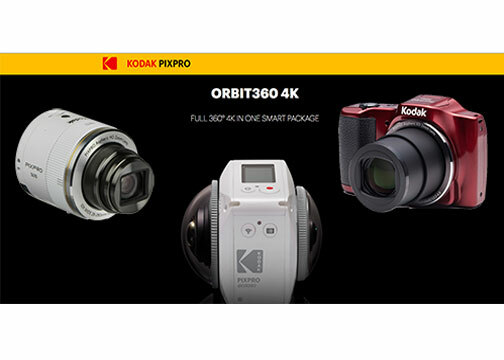 Expansion of the growing 360° VR camera category within the 2017 Kodak PixPro lineup is proof of JK Imaging’s commitment to video enthusiasts worldwide, the company announced. The line includes the addition of a third 360° VR camera. The Orbit360 4K will enter the market with a base SRP of $499. It will follow existing Kodak 360° models with optional bundles. These will include accessories and also complementary PixPro software for editing and stitching on Mac and PCs. 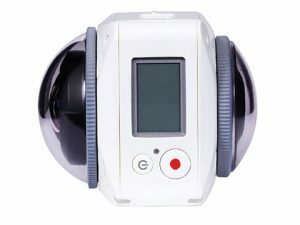 All PixPro 360° VR camera models are YouTube compatible for 360° interactive videos. They are also Facebook compatible for 360° photos and videos. The Orbit360 4K is aimed at consumers looking to capture their adventures, travel and special moments with 360° video and photos. The new 2017 Kodak camera lineup will also offer consumers a variety of long-zoom options within the Astro Zoom family. The newest flagship Astro Zoom camera shown at CES 2017 is a 90x optical zoom model. 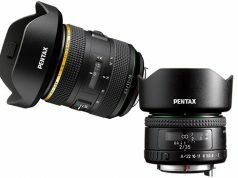 It showcases “the brand’s commitment to offer outstanding performance at a fraction of the price of traditional and more expensive DSLR bodies and lenses,” the company noted. 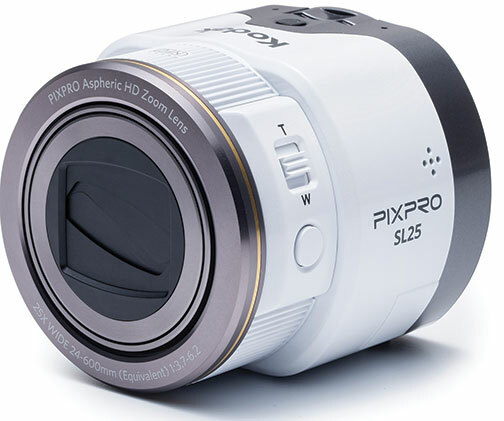 Rounding out the Astro Zoom lineup, the company showed an entry-level 25x zoom with the AZ252. Also exhibited were other models with up to 65x zoom. These include the AZ401, AZ421, AZ422, AZ525, AZ527 and AZ652. 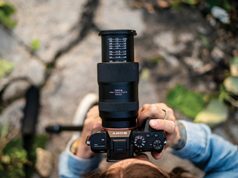 This year’s portfolio will also continue to offer four affordable compact point-and-shoot models: the entry-level FZ43, FZ53, FZ152 and the new FZ201 in the Friendly Zoom category. These cameras give consumers a variety of power choices between AA and Li-ion batteries. 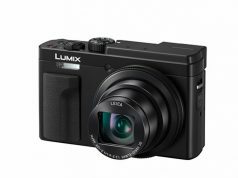 These cameras start at $69 for the entry-level model. For action sports enthusiasts and people on the go, JK Imaging will continue to offer the Kodak PixPro SP1 waterproof action cam with bundles that include accessories for both land lovers and underwater use. Prices start at $249 SRP. 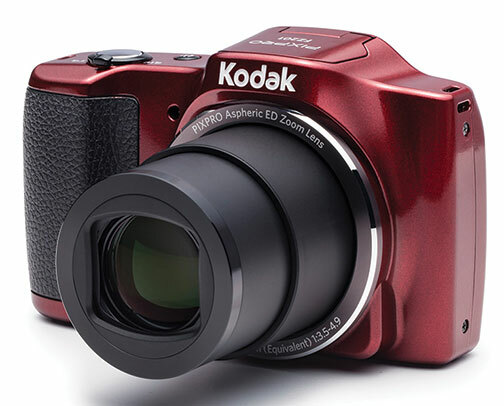 To add another option, the Kodak PixPro Digital Devices booth demonstrated cameras that work in tandem with smartphones. iOS and Android compatible Smart Lens models that clip to a smartphone or work uncoupled start with 5x optical zoom and built-in flash. The booth featured the SL10 with 10x optical zoom and the 25x optical zoom SL25 model. Next articlePolaroid Camera Drones Debut in U.S.